Irwin Cotler received Quebec’s highest honour from Premier Philippe Couillard June 22 when he was named an Officer of the Ordre national du Québec. 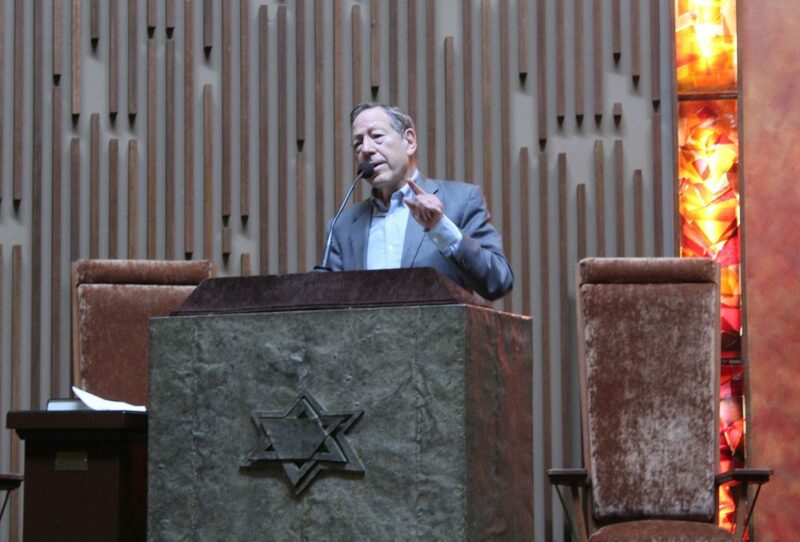 Cotler’s tireless and continuing body of work in the defense of human rights and equality were recognized, along with 35 other Quebecers at a ceremony in the Salon rouge of the National Assembly. David Birnbaum, MNA for D’Arcy-McGee initiated the nomination of Cotler, with Mayor Denis Coderre. The nomination was supported by a letter from American lawyer Alan Dershowitz who has worked with Cotler on a series on international human rights cases and in fighting anti-Semitism worldwide. Dershowitz has nominated Cotler three times for the Nobel Peace Prize. He continues to work as Chairperson of the Raoul Wallenberg Centre for Human Rights. As Minister of Justice and Attorney General, Irwin Cotler initiated the first-ever comprehensive reform of the Supreme Court appointment process and helped make it the most gender-representative Supreme Court in the world; appointed the first-ever aboriginal and visible minority justices to the Ontario Court of Appeal; initiated the first-ever law on human trafficking; crafted the Civil Marriage Act, the first-ever legislation to grant marriage equality to gays and lesbians; issued Canada’s first National Justice Initiative Against Racism and Hate; and made the pursuit of international justice a government priority. A leading Parliamentarian on the global stage, he is Chair of the Inter-Parliamentary Group for Human Rights in Iran; Chair of the Inter-Parliamentary Group of Justice for Sergei Magnitsky; and Chair of the All-Party Save Darfur Parliamentary Coalition. An international human rights lawyer, Professor Cotler has served as Counsel to prisoners of conscience including Andrei Sakharov & Nathan Sharansky (former Soviet Union), Nelson Mandela (South Africa), Jacobo Timmerman (Latin America), Prof Saad Eddin Ibrahim (Egypt) and he was Chair of the International Commission of Inquiry into the Fate and Whereabouts of Raoul Wallenberg. He is a Member of the International Legal Team of Chinese Nobel Peace Laureate Liu Xiaobo, and more recently became international legal counsel to imprisoned Saudi blogger Raif Badawi, Venezuelan political prisoner Leopoldo López, and Shi’ite Cleric Ayatollah Boroujerdi in Iran. He is the recipient of eleven honorary doctorates, numerous awards including the Order of Canada, and has recently been awarded the Canadian Bar Association’s President’s Award, the International Raoul Wallenberg Foundation’s Centennial Medal and was elected 2014 Canadian Parliamentarian of the Year by his colleagues. Be the first to comment on "Irwin Cotler honoured for lifetime achievements"